As it's nearly christmas and fragrance is always a great gift to buy whether it's a friend/mum/girlfriend/grandma. 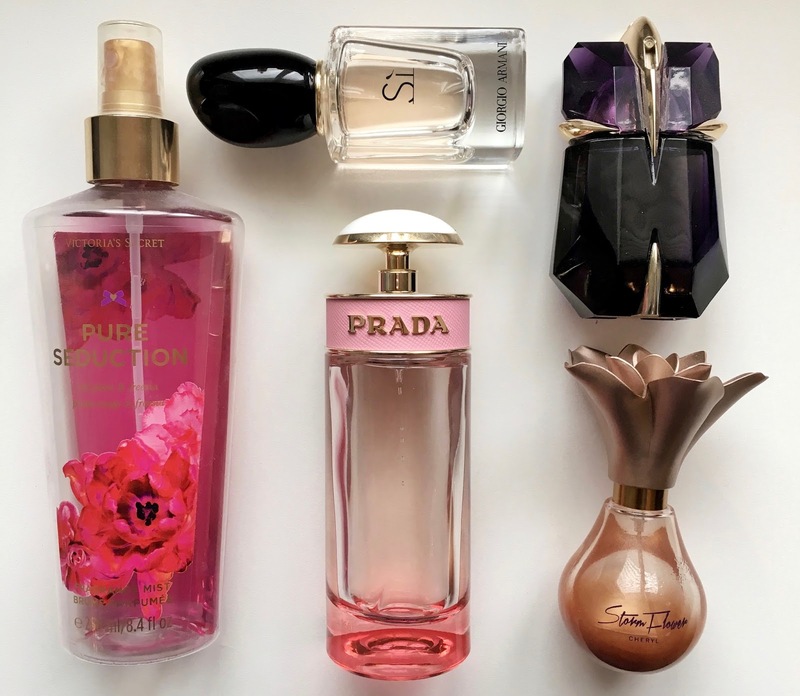 So I thought i'd do a post on my all time favourite scents and there is 100% at least one or two you or someone you know will LOVE! A lot of you will have already smelt this and know that it smells like absolute heaven! It's very sweet yet floral scent with the main notes being red plum and freesia. This is only a fragrance mist so it won't last as long as some of the other fragrances in this post but it would still make the perfect gift! Being a celebrity fragrance before I smelt this I imagined it to be a sickly sweet scent but its not at all! This perfume is a mixture or sweet, floral and vanilla and it's absolutely beautiful. It's very lightweight but its just so pretty you have to go and give this one a smell! I've mentioned this fragrance before in my November favourites which I will link here if you're interested. I'm not a huge floral scent lover however this perfume has completely changed my mind. I'd say its more of a spring/summer perfume however I wear it all year round as its gorgeous! It's quite light so it's better for daytime use rather than night time, the main notes being limoncello, peonies and caramel. This perfume is a little more expensive however once you've smelt it you will 100% understand why, it smells incredible. It was also included in another of my favourites which i'll link here. This fragrance is quite heavy so it's the perfect night out perfume, "Sì – The Modern and Elegant Chypre. Chic, sultry, intense and soft at the same time, Sì is a chypre scent reinvented, lingering on the skin and captivating the senses." It's a mixture of sweet/floral/fruity, absolute perfection. I absolutely love the bottle for this fragrance it's so unique and so is the scent. It's definitely a more musky scent than the others, it's more of a woody floral but i'm completely in love with it. Hope this helps with any last minute gifts or simply just another one to add to your fragrance collection. love Si by Giorgio Armani! Me too, such a gorgeous scent!